Devson Insulators Pvt.Ltd. Manufactures international standard quality Grinding & Tumbling Media. Devson media having high mechanical strength and hardness. Our ceramic Grinding Media are manufactured from our Grade HF-82 corresponding to Ker221 and are harder than steel in wear resistance. Steatite is a fused magnesium silicate material manufactured from selected pure finely milled raw materials. It is off white in color and does not contaminate the materials to be milled. 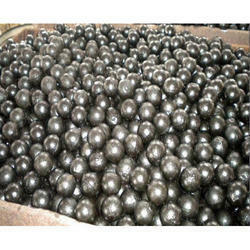 We are providing a large assortment of Grinding Media Balls in various sizes. With sincerity and hard work of our professionals, we have carved a niche for ourselves in this domain by providing a premium quality gamut of Steel Grinding Media Balls. Aum Techno Ceramic manufactures ceramic linners for ball mills in different qualities and sizes. Normal sizes are: 150X150X50, 150X50X60, 150X75X50 in both flat and tapper. The mill linners are manufactured in hard porcelain or high alumina as per customer’s requirement. 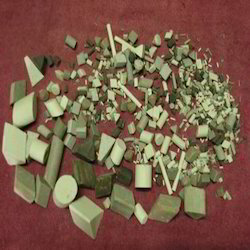 Grinding Media , bricks and pebbles of Steatite, porcelain, alumina and High alumina, Zircon based available in all size. High wear-resisting: The alumina balls' wear-resisting is higher than the common ceramic balls'. When it is working, the ball will not pollute the grinded materials, so it can keep the purity and improve the stability of grinded materials especially the ceramic glaze. Long term benefits are attractive as it is a cost effective alternative to conventional media.